The Olympics are right around the corner, and pretty soon we’re going to be looking at what helps people run fast. So let’s take a moment now to prepare by looking at the flip side of the coin: how to run slowly without hurting yourself or feeling miserable. You may be thinking it’s the struggle to run fast that causes injury and suffering. That certainly can happen. However if you’re beginning MAF training or other structured training that requires you to keep your heart rate low—or even just trying to learn how to do a proper recovery run—you may find yourself struggling to run slowly enough. 1. 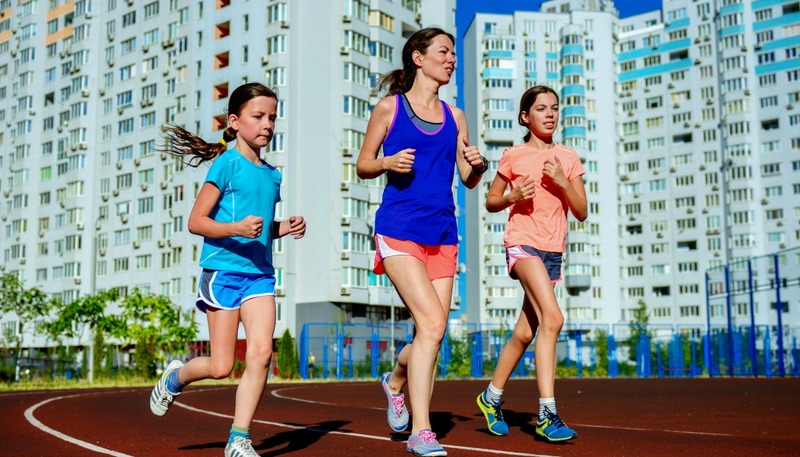 Slowing down your stride rate till you feel heavy and sluggish. Slower running is best thought of as “trotting” rather than “jogging.” Think of a dog or horse trotting, brisk and light but not fast. That’s you too — run slowly by taking smaller, less forceful steps. 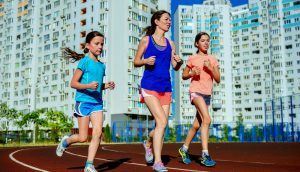 Though your stride rate will be lower than when you run fast–stride rate is actually speed-dependent–you don’t want to adopt a lumbering gait. So keep it light and let your stride rate settle into a groove that helps you maintain that feeling. 2. Disconnecting your head from the movement. 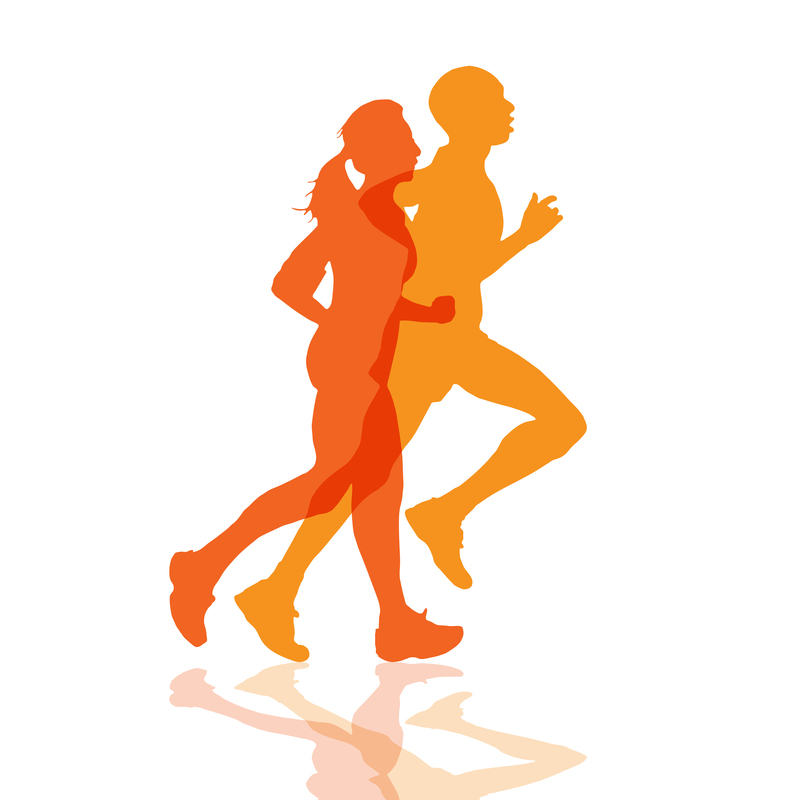 Faster running keeps you organized to move your head forward in concert with your body by leaning forward. But when you run really slowly your lean is almost imperceptible and you don’t have to work very hard to keep your head moving forward. Consequently it may droop, hang downwards, tip sideways, and otherwise be unconnected to how you’re moving. This builds very bad habits for later, so keep your head up and stay aware that you’re pushing your head forward with your feet. Try orienting or changing your focus. And most importantly, feel what you’re doing with your upper back and neck, and see if you can keep a flow of energy through your spine to your head, without any breaks. Lots of very small steps can result in running that doesn’t really use the thigh muscles because the range of motion just doesn’t call on them. Instead you depend primarily on your calves to power you, with a result that they get very fatigued and tight. Instead, move your core. Slow running — a very mellow trot, let’s call it — is a great opportunity to hone your core action and weight shift. When your pelvis is moving well you run on flatter feet (neither heelstriking nor forefoot striking in a pronounced way). Thus you don’t overuse your calves. If you’re running really slowly, meaning maybe even 15 minute miles or slower, you will feel you hardly use your legs at all. And speaking of your upper body, you’ll realize right away that you don’t really use your arms when running very slowly either. Your hands just stay close to your heart and your upper body moves. In this picture, the girl in the peach t-shirt on the right has great slow-running form. When you find the movement sweet spot for slow running, you can feel how it strengthens the elastic connection from feet to head and will translate to good running form at faster paces. So even though slow running may feel like technique-free running, the opposite is actually true. It’s a fantastic investment, not only in your fitness, but also in your form. You started off with slow run is bad for you then ended the story with slow run is a great investment. I don’t get it. A slow run can feel bad if you don’t know how to do it right, Danny! What is the best heart rate range to avoid tooich strain on the heart?